These are two of the earliest communities of people to arrive in Southern Africa. The Khoi Khoi were called Hottentots by the early Europeans that came to Southern Africa. 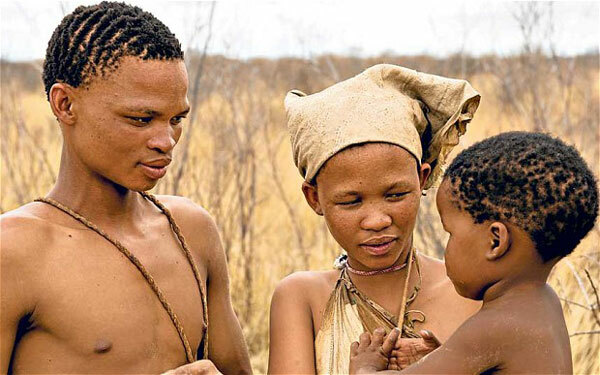 The San were called Bushmen. Today, these names are no longer used to refer to the two communities. They were thought to be derogatory. Unity of the community members. The land was communally owned. They hunted and grazed communally, waterholes and mineral rights belonged to all. When the nation became too large, the land was sub-divided among clans which then begun to operate like independent nations. The Khoi Khoi never developed into a big and powerful empire because of their nomadic way of life. 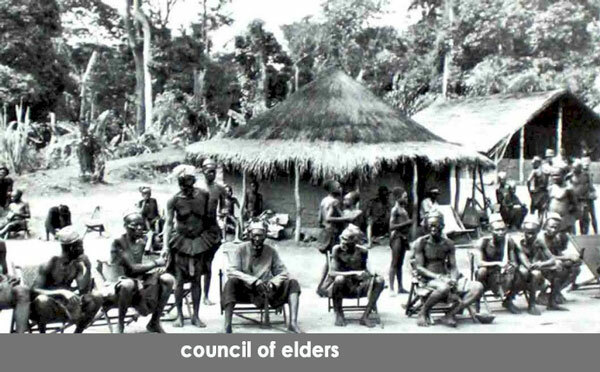 All the clan leaders formed a Council of Elders which assisted the chief in making important decisions and in settling disputes. Discussions were held in open forums and if a group within the community felt that it could not cope with the rest, it had the freedom to break away and form a new clan with a new name. Because of this, splits were common and as a result, the Khoi Khoi spread to occupy a larger area than the San. The main functions of the chiefs included settling disputes involving different clans. 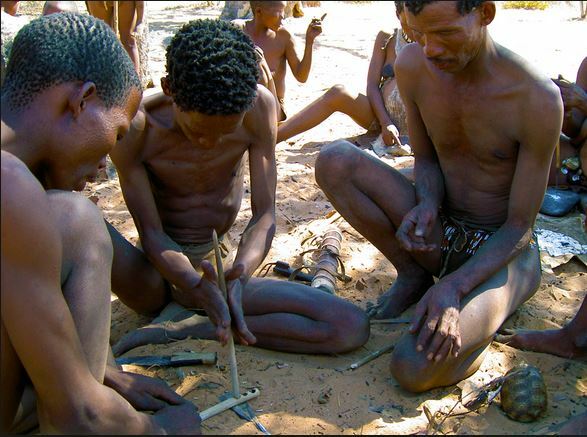 The San were the oldest community to settle in Southern Africa even before the Khoi Khoi. Before the coming of Europeans, they lived mainly by hunting and gathering. They led a nomadic way of life and their population was small and scattered in the region. They lived in small units of between 25-70 people. These units had men who jointly hunted wild animals and birds with poisoned arrows. These animals and birds were a source of food for the unit. Their main food was animals and birds, they also ate roots and other items gathered by the women. Government decisions were made by common agreement or consensus. Leadership was not clearly defined. However, there was equality and mutual respect in the running of the affairs of the community. There were no chiefs or kings. Each government consisted of a Headman and a Council of Elders. The Council of Elders held regular meetings. These meetings were open to all male adults of the village. The San were democratic and allowed every adult male to participate in the affairs of the whole community. They both were yellowish-brown in colour. They had similar physical appearance and tended to be short and stout. They had similarities in their languages, both of which had click-sounds. The Khoi Khoi were cattle keepers while the San were hunters and gatherers. They had different political organisations. Khoi Khoi were led by chiefs while the San did not have a defined leader. They officiated ceremonies and gave guidelines. It preserved the community’s cultures. It trained and shaped future leaders in the community.